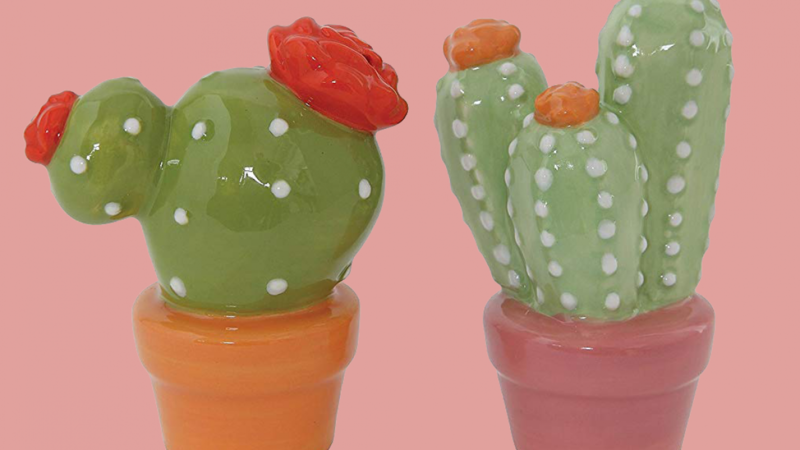 These cool cactus salt and pepper shakers are sure to brighten up any dining event. They are perfect for garden parties because they will fit right in. You can also use them at dinner, summer parties, events or anywhere else. If you know someone who collects succulents or cactus then this is a really fun gift idea. Your plant loving friend or family member is sure to love them because they are so cute. The shakers are made of ceramic and you can clean them easily by hand washing. Each shaker measures 3 inches long, 1.75 inches wide and 3.25 high. This set of shakers is easy to use and it looks much nicer than just putting your salt and pepper on your table in their original store bought containers. These are a wonderful idea for when you are serving mexican food or celebrating a family holiday. You will love how bright and fun they are. They will like great with any diningware that features similar colors or a similar theme. You can decorate your table with a real cactus to complete the look if you wish. Guests and family members are sure to notice these cute additions to your table. 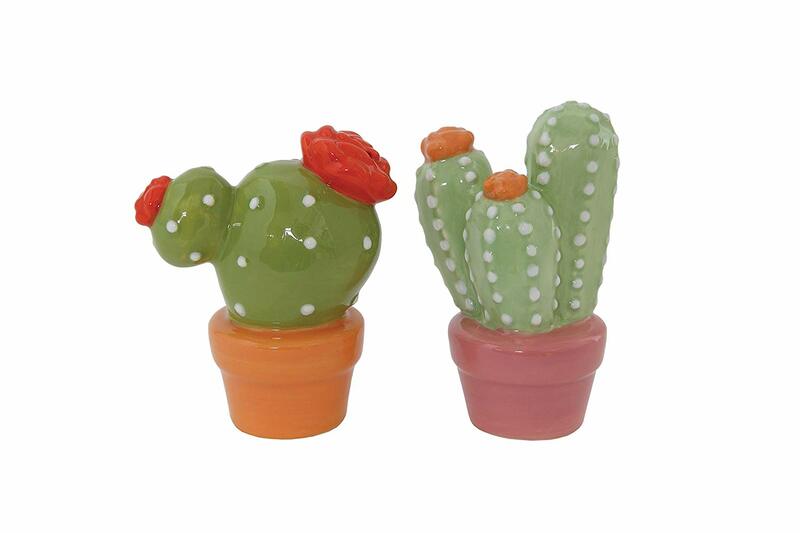 If you like these cute salt and pepper shakers then you may like to check out the following.